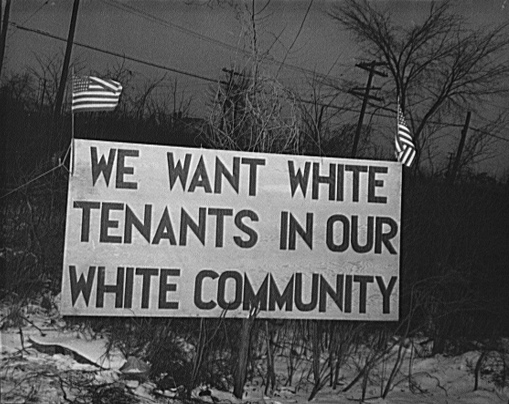 This photo is from a sign in suburban Detroit in 1942. I found it while searching for a photo of the Detroit riots, or unrest, or actions because of police violence, or however you the reader chooses to refer to the events in July of 1967. I’d like to ask you to learn a little bit (or a little bit more) about the Detroit unrest in July of 1967. If you are interested in racism, poverty and/or activism you will be especially keen on this. I learned a lot last weekend by following the Detroit Free Press’ twitter @Detroit_1967 which was real-time tweets based on the timing of the unrest, 50 years ago this month. I have also learned more from Detroit writers who have been publishing columns on the new movie “Detroit”. I was one year old during the unrest. I was in Royal Oak, in the safety of the white suburbs. My dad was at work next to Tiger Stadium and stayed there for a couple of days. Detroit was the city my family immigrated to in the 1920’s, first to a tenement building on John R. not too far from the Catholic Cathedral and then to Hawthorne just south of 8 mile. I grew up loving Detroit, as I still do. The unrest in the summer of 1967 is still heartbreaking, and not surprising. I continue to learn as much as I can.